This crisis began in mid-June when Chinese forces were spotted constructing a road near the disputed tri-border linking India, China, and Bhutan, prompting an intervention by Indian troops in nearby Sikkim. Nearly a fortnight later, over 100 soldiers from each side are eyeball-to-eyeball, with India moving thousands more into supportingareas. Each passing week has seen a further hardening of each side’s position. Another face-off at the Himalayan border has surprised few. Since 2010, nearly 2,500 Chinese “transgressions” have been recorded on the Line of Actual Control (LAC), the undefined border between India and China. But this is not a typical stand-off. The point, or area, of discord is unrelated to the India-China territorial dispute. The present stand-off is near the India-China-Bhutan tri-junction, and in an area where both China and Bhutan hold competing territorial claims. According to the External Affairs Ministry’s June 30 press release, Indian involvement is aimed to prevent China from changing the status quo by building a road on territory claimed by Bhutan, India’s closest ally in the subcontinent. By upholding the rights of its ally, Indian actions are intended to convey the importance Delhi attaches to its special relationship with Thimphu as well as to signal that it intends to preserve its traditional military advantages in the overall Sikkim sector. What North Korea lacks in sophistication it makes up for in guile. Its answer to any attack would go beyond conventional means to include its experienced commando force, cyberwarfare capability and submarine force, at the very least. Though North Korea has chemical weapons, they are probably no more effective than its air force and surface navy. Still, there's a psychological shock value attached to their use. Pyongyang will do everything it can to impose a cost on any belligerent force. If the United States wishes to denuclearize North Korea, it will have to accept the consequences, as will South Korea and possibly even Japan. The United States would greatly prefer a diplomatic solution, but this has not worked well in the past. Even tougher sanctions imposed in March did little but harden Pyongyang's resolve. And in avoiding a messy, if short-lived conflict, the United States and South Korea may have set themselves up for future angst when Pyongyang unveils a strategic nuclear deterrent. In addition to missiles equipped with high explosives, or possibly even nuclear devices, Pyongyang is known to have a significant stockpile of chemical warfare agents. There are also legitimate concerns about biological weapons development, but recent estimates indicate North Korea may have only samples of biological agents at the ready. This is a far cry from producing agents on a scale significant enough to be used offensively — huge batches have to be grown, maintained and eventually replaced, which is a monthslong cycle. Perhaps Pyongyang will have more biological weapons down the line, but that will not help it retaliate against the United States in the short term. With India and China interacting over more than 3,000km of undefined frontier, friction is constant and that one day it would break back into border war has seemed inevitable. Two great Indian delusions have created this situation. The lesser of these was the outright falsehood spun in the shock of immediate and utter Indian defeat in 1962’s Round One border war with China, when, after the hesitant launch of an Indian offensive to drive the Chinese out of India-claimed territory on the Chinese side of the McMahon Line, the pre-emptive Chinese counter-attack had in little more than a month crushed the Indian Army. It enabled the People’s Liberation Army (PLA) to vacate all the territory it had occupied with nothing more than the minatory – and humiliating – warning to India, “don’t challenge us again”. The absurd myth of an “unprovoked Chinese aggression” which had taken India by surprise was promulgated to resurrect the broken image of “Pandit” Jawaharlal Nehru, the prime minister personally and pre-eminently responsible for the national disaster. Although long ago exposed and belied internationally, in India the myth has fermented in high military as well as political circles a longing for revenge. 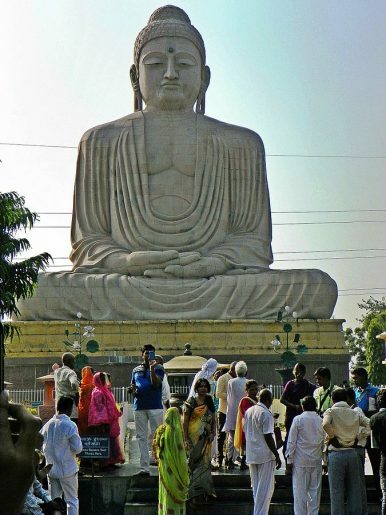 The Republic of India is the world’s second most populous country and largest democracy. It will also prove to be the key to the U.S.’s survival as the world’s sole global hegemon and the preservation of the current global power structure. The U.S. projects more power across the globe, both conventional and nuclear, than any other nation. It spends more on its military than its next eight rivals combined. Its economy is the largest in terms of nominal GDP by more than $7 trillion and has been the largest for more than a century. It exercises so much control in international affairs and trade it is often characterized as the "world’s policeman." Its currency is exchanged globally and is the basis for numerous currencies abroad, and it is home to earth’s premiere financial market. These factors solidify the U.S.’s status as a true superpower and appear promising for the maintenance of the global status quo. But one rising power threatens this world order. It’s not only India’s northeast, but southern and eastern states are also building up ties with Southeast Asia. To mark the 25th anniversary of the India-ASEAN partnership, the theme of the Delhi Dialogue 2017 (held from July 4-5) was “India and ASEAN : Charting the Course for the next 25 years.” This track 1.5 forum, which commenced in 2009, saw discussions on a number of economic, strategic, and sociocultural issues pertaining to India-ASEAN relations. The dialogue was organized by India’s Ministry of External Affairs, in collaboration with a number of think tanks and Chambers of Commerce. Ties between India and ASEAN have grown by leaps and bounds, ever since the economic reforms introduced in 1991 and the introduction of the Look East Policy in the 1990s. The current government, which has renamed Look East as Act East, has also stressed improving ties with Southeast Asia. What’s especially interesting this year was the presence of Assam Chief Minister Sarbananda Sonowal in the inaugural session of the Delhi Dialogue. 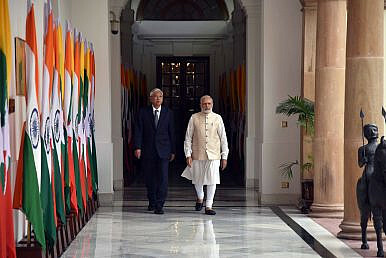 That gave a clear message that states are the participants in India’s ties with Southeast Asia. ISLAMABAD, Pakistan — On June 24, Prime Minister Nawaz Sharif of Pakistan held an angry, defiant news conference in London. A day earlier, militants had killed dozens of people in a double bombing in a Shia enclave in Pakistan’s tribal areas. Yet standing outside a posh Park Lane apartment building, the prime minister railed instead against a controversial investigation into his family’s wealth. It was the prime minister’s first news conference since appearing before investigators nine days earlier, and neither the celebratory mood of an Eid weekend — Mr. Sharif was in London for a family holiday — nor the somber aftermath of the devastating bombings could shake his political focus. Mr. Sharif denounced the corruption probe as a witch hunt. He assailed his fiercest rival, the opposition politician Imran Khan, for ceaselessly attacking him. And in the elliptical way many Pakistani politicians learn to master, he hinted that the military was trying to destabilize his government. He said all this while standing outside the very source of his troubles, the Sharif family pied-à-terre in the Park Lane apartment building, near the iconic Speakers’ Corner in Hyde Park. 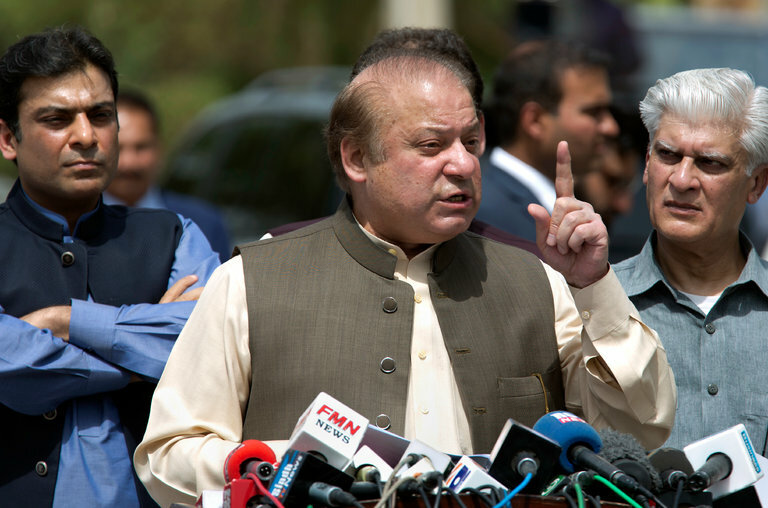 In the family’s use for more than three decades, the “London apartments,” as they have come to be known in Pakistan, have been denounced for decades by Mr. Sharif’s opponents as the fruits of corruption. As part of China’s ongoing military reform, the People’s Liberation Army (PLA) will downsize its ground forces to under one million troops, while increasing the number of personnel in other military services, the Global Times newspaper reported on 11 July. Citing a PLA Daily article on structural reform, the state-owned paper reported that “the old military structure, where the army accounts for the vast majority [of personnel], will be replaced after the reform”. “This is the first time that active PLA personnel will be reduced to below one million,” stated the article, adding that the number of troops in the PLA Navy, PLA Strategic Support Force, and the PLA Rocket Force will be increased – but that the PLA Air Force’s active personnel strength will remain the same. “The reform is based on China’s strategic goals and security requirements. In the past, the PLA focused on ground battle and homeland defence, which will undergo fundamental changes,” the PLA Daily article was quoted as stating. 'The border standoff, if not properly addressed by both sides, could escalate to a conventional or sub-conventional conflict between India and China,' predicts Srikanth Kondapalli, one of India's leading China experts. The continued military standoff at the Sikkim-Bhutan-Tibet tri-junction has led to speculation about the possibilities for confidence building measures, diplomatic intervention, or even conventional or sub-conventional skirmishes between India and China. In the light of escalation in China's 'three warfares' (in the media, psychological and legal arenas) on India in the last few weeks, several scenarios could unfold between these two rising countries with long-term consequences for Asian regional alignments. It has been nearly a month since the standoff began between Indian and Chinese troops at the tri-junction with Bhutan. No party to the dispute seems to be blinking unlike in previous such border standoffs. This has led to a palpable uncertainty in bilateral relations, although so far the acrimony is mainly confined to tactical levels even as the strategic levels have been relatively free of the contagion. The People's Liberation Army (PLA) will downsize its army to under one million, and evenly proportion the PLA army and other services, the PLA's official media said. Jun Zhengping Studio, a WeChat account run by the PLA Daily, the official newspaper of the Chinese military, published an article on structural reform in the military on Tuesday, saying that "the old military structure, where the army accounts for the vast majority, will be replaced after the reform." "This is the first time that active PLA Army personnel would be reduced to below one million," wrote the article. It added that the number of troops in the PLA Navy, PLA Strategic Support Force and the PLA Rocket Force will be increased, while the PLA Air Force's active service personnel will remain the same. Ministry of Defense data shows the PLA Army has about 850,000 combat troops in 2013. No official numbers of the total population of PLA Army were released. The total PLA personnel was about 2.3 million before the country announced a cut of 300,000 troops in 2015. China has dispatched personnel from the People's Liberation Army to Djibouti to staff its first military base abroad. Several countries have established a martial presence in the small Horn of Africa country. Personnel have departed to begin setting up China's first overseas military base, in Djibouti, on the Horn of Africa. China has officially designated the Red Sea base as a logistics facility. "The base will also be conducive to overseas tasks - including military cooperation, joint exercises, evacuating and protecting overseas Chinese, and emergency rescue, as well as jointly maintaining security of international strategic seaways," the state news agency Xinhua reported on Wednesday, but did not announce when operations would formally begin or how many troops the country had sent. Several countries have set up shop in Djibouti - which borders Eritrea, Ethiopia and Somalia - a vital port and a model of stability in an otherwise volatile region. The United States, France, Japan, Italy and Spain already have bases in the country, and Saudi Arabia has begun construction on one. Moscow’s relationships with China, the U.S., and the two Koreas shape Russian policy aims. On July 7, 2017, U.S. Secretary of State Rex Tillerson announced that Washington would increase diplomatic pressure on Russia, to ensure that Moscow helps the United States contain North Korea’s belligerence toward Japan and South Korea. Ahead of the much-anticipated G20 summit meeting between U.S. President Donald Trump and his Russian counterpart Vladimir Putin, Tillerson argued that diplomatic dialogue could help ease the growing chasm between Washington and Moscow on North Korea. Despite this optimistic rhetoric from Tillerson, Russia’s refutation of U.S. claims that North Korea launched an intercontinental ballistic missile (ICBM) on July 4 and opposition to expanded international sanctions against North Korea suggests that diplomacy has done little to assuage Washington-Moscow tensions over North Korea. The recent intensification of tensions between Russia and the United States over North Korea can be explained by two factors. First, Russia’s preferred strategy to combat the North Korean threat contrasts markedly with Washington’s use of coercive diplomacy. 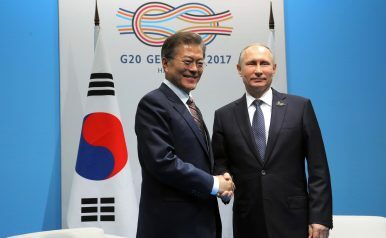 Moscow has emphasized the importance of promoting inter-Korean diplomacy and has urged South Korea to desist from participation in U.S.-led security measures on the Korean peninsula, which antagonize North Korea. Second, Russia is expanding its stake in the North Korean crisis to strengthen its increasingly important strategic partnership with China. GAZA CITY — Palestinian President Mahmoud Abbas is pursuing a high-risk campaign in the Gaza Strip to squeeze his own people so hard that they might force the Islamist militant movement Hamas to surrender control of the isolated coastal enclave. The 82-year-old leader’s Palestinian Authority, which runs the West Bank but has only limited sway in Gaza, has slashed salaries for its employees in the seaside territory, withheld permissions for medical patients to leave and, in its most dramatic step, cut payments for the electricity provided to Gaza by Israel. Israel fears Hamas might lash out with rocket fire, and the World Bank worries the strip could collapse. The United Nations on Tuesday declared that a decade of Hamas rule, Palestinian infighting and crippling blockades by Israel and Egypt have made life for people in Gaza “more and more wretched” each day. But Abbas has said he is prepared to go even further, threatening to impose sanctions against Hamas and freeze funds for its leaders “if they continue to rule Gaza and use the money of the Palestinian people to strengthen their hold on power,” according to an interview he gave to Asharq Al-Awsat newspaper. To the 23 Navy SEALs fast-roping to the ground, the conditions could not have been better. Under the cover of darkness, they crept toward the home of the world’s most wanted man and stormed inside. The timing was by design. When retired Navy Adm. Bill McRaven, then the head of U.S. Joint Special Operations Command, scheduled the raid on Osama bin Laden’s home, he did so based partly on the lunar cycle. As for that power outage, although McRaven called it a total coincidence, it may have been more than that. In the end, it took SEAL Team 6 just 38 minutes to blast its way into bin Laden’s bunker, erase him from existence, and collect a trove of intelligence strewn about his cluttered house. The ability to see in the dark made it all possible. For decades, the U.S. military has prided itself on “owning the night” thanks to its unmatched night-vision technology. From the early days, when soldiers used clunky infrared scopes to detect and beat back Japanese night raids in Okinawa, the United States has maintained that advantage. Tempering Trump Policy: Ongoing federal investigations and intensifying budget battles with Congress will make for another distracting quarter for U.S. President Donald Trump. But these disruptions won't mitigate the rhetoric of White House ideologues, or broader speculation that the United States is retreating from the global stage. The reality of the superpower's role in global governance, of course, is far more complicated. Meanwhile, the administration's more extreme policy initiatives, particularly on matters of trade and climate, will be tempered at the federal, corporate, state and local levels. And though the United States will maintain its security alliances abroad, it will also generate enough uncertainty to drive its partners toward unilateral action in managing their own neighborhoods. Sparks Fly in the Middle East: Qatar's standoff with Saudi Arabia and the United Arab Emirates will persist throughout the quarter amid intensifying battles among regional powers' proxies across the region. More visible competition within the Gulf Cooperation Council and growing distrust between Turkey and its Gulf neighbors will reveal the weaknesses of the White House's strategy to conform to Riyadh's increasingly assertive foreign policy in an attempt to manage the region. The risk of clashes among great powers is also on the rise in eastern Syria: As Iran works to create a land bridge from Tehran to Damascus and the Mediterranean coast, Syrian loyalists and U.S.-backed rebels are racing toward the Iraqi border, all while Russia uses the Syrian battlefield to jockey with the United States for influence. According to Jonas Baumann and Govinda Clayton, mediation and other forms of third party conflict prevention, management or resolution appear to be changing. To trace these adjustments, our authors describe 1) who typically ‘referees’ violent disputes; 2) current mediation styles and approaches; 3) what the analytical literature says about the effectiveness of mediation; and 4) the future of this peace-promoting tool. In the last case, Baumann and Clayton elaborate on why the mediation field needs to be further professionalized. Mediation is a process in which a third party assists the disputants, with their consent, in preventing, managing, or resolving a conflict. It is a widely used conflict resolution tool. Nevertheless, to improve its effectiveness, concepts need to be clarified, its strengths and limits recognized, and the field professionalized. In recent years, mediation and other forms of third party involvement seem to be changing, as illustrated by the cases of Colombia, Myanmar, Syria, Libya, and Yemen. While the future development of mediation remains unclear, the following overview tries to provide tentative orientation, drawing on insights from academia and the mediation policy field. A patrol links up with a small special forces team and conducts a tactical movement to a position near a target village. They halt, and use virtual reality goggles loaded with photos taken clandestinely throughout the village by a local source—the patrol leader and his subordinate leaders are able to virtually walk through the entire village. Before initiating the raid that the patrol has been ordered to execute against a target building holding a group of enemy fighters, a soldier hacks into a security camera network in the village, giving the patrol control of each camera and obtaining the direct imagery feed. As the soldiers move into position, a drone appears ahead of them. The patrol leader calls up a soldier armed with a “cyber capability rifle,”who—immediately before the support element begins firing—takes aim and uses the weapon to “shoot” code over Wi-Fi at the drone, essentially tricking it into thinking the rifle is an administrator and transmitting an order to stop functioning. With enemy situational awareness eroded from the loss of its drone, the assault element begins its actions on the objective and the raid continues. This isn’t typical Army training. But it was what around 1,000 West Point cadets have experienced this summer on a Department of Military Instruction training exercise run by the Modern War Institute and the Army Cyber Institute. How can technology be used to get eyes on an objective when a traditional leader’s recon is insufficient, impractical, or impossible? How should tactical-level leaders work with a range of enablers—from special operations forces to CEMA (Cyber Electromagnetic Activities) teams? What tools are necessary to overcome challenges posed by off-the-shelf consumer technology on the battlefield? What does Multi-Domain Battle look like at the tactical level—in this case, land, air, and cyber? These are the questions that animated the design of this particular training. The broad contours of the raid—a “surprise [attack] against a position or installation for a specific purpose other than seizing and holding the terrain,” in Army doctrinal parlance—are still there. They’re just augmented with features that are increasingly shaping the modern battlefield. The data analysts in this article confirm a common belief – i.e., the onset and recurrence of armed conflict is likely where high inter-group inequalities exist. Indeed, groups that have strong shared identities, a collective perception of ill treatment, and opportunities to take up arms are likely to use violence to rectify existing inequalities. In response, policy makers should take concrete measures to ensure the fair distribution of public goods and more. Research shows that the onset and recurrence of armed conflict is likely where high inter-group inequalities exist. Groups that have strong shared identities, a collective perception of ill treatment, and opportunities to take up arms are likely to use violence to rectify existing inequalities. Policy makers can take concrete steps to reduce group-level inequalities through measures that share political and economic power between groups, ensure the fair distribution of public goods and services, and recognize cultural identities. Inequalities can provoke and prolong conflict as well as its recurrence in fragile settings. Strong group identities coupled with salient grievances can inspire violence. Both objective and subjective inequalities are important predictors of conflict onset. Effective policies need to address underlying sources of inequality. Which countries are most exposed to cyber threats, surveillance? Cybersecurity experts often talk about the level of exposure, or the amount of “attack surface,” when describing security vulnerabilities and cyber risks. Both factors affect the likelihood that an individual or organization will fall victim to either widespread internet threats, such as WannaCry, or to more targeted threats, such as government surveillance. It’s difficult to determine the net level of exposure of individuals and organizations globally, and until recently, few tried. That’s why cybersecurity company Rapid7 put its Project Sonar – essentially, a tool for scanning the entire internet – to work gathering data for last year’s first National Exposure Index (NEI). NEI researchers define “exposure” as either natively unencrypted services on the public internet (think File Transfer Protocol vs. Secure File Transfer Protocol) or services available via the public internet that are unsuitable for widespread accessibility (think Microsoft’s Server Message Block [SMB]). If one or both conditions are found to be true for Internet Protocol (IP)-accessible servers, then it counts against the country and increases its overall exposure rating. Need a good deal on a flight? Search for multiple flights on non-partner airlines to find the best deal. SeatGuru is another good sight to bear in mind when traveling. This site will help you find the best seat on the plane, which will give you important info like USB charging availability and whether or not the place is equipped with personal TVs. Got too many emails in your inbox? 10 Minute Mail will allow you to get confirmation of your email and then self-destruct in just 10-minutes. In the past week, crippling cyberattacks have been directed at Ukraine — targeting banks, the postal service, the airport in Kiev, and other major industries, disrupting the day-to-day lives of Ukrainians already embroiled in a three-year-long conflict with Russia. The United States has faced similar targeting, with phishing attacks against nuclear power plants and other key infrastructure attributed to Russia. Cyberattacks have also interfered with the presidential election, exported sensitive personnel data from the federal government, stolen technology secrets from defense companies, and hacked into military networks. The frequency and severity of these attacks underscore the importance of having robust cyber talent to protect the economy, the military, the government, and the nation. 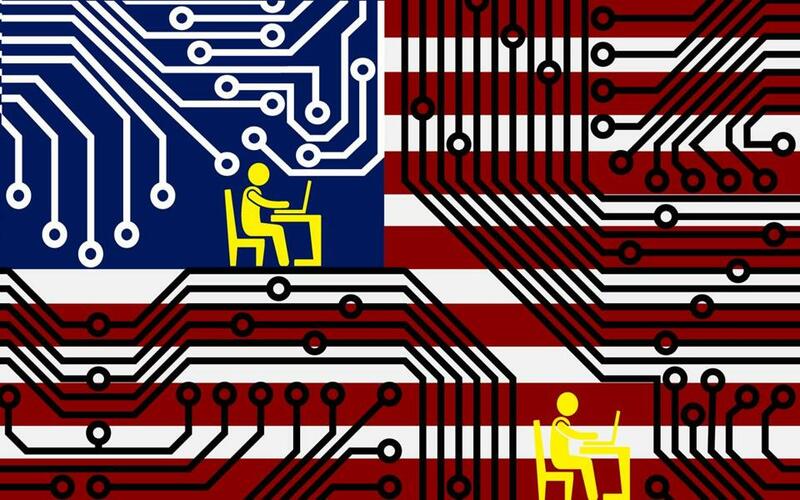 Yet the federal government lacks the cyber talent it needs to defend government, military, and intelligence networks as well as assist the private sector in protecting critical infrastructure. It also lacks the talent to conduct offensive cyber operations when warranted. Moreover, it lacks a talent management strategy to recruit, develop, and retain cyber talent. Notwithstanding requisite pockets of expertise in the intelligence and military communities, current personnel systems are generally not delivering the quantity and quality of cyber talent the government needs to fulfill its roles. The Pentagon’s Department of Defense, Rapid Reaction Technology Office, which looks to develop prototypes and host technology demonstrations to counter emerging and anticipated threats, has issued a special notice to industry this week announcing its intention to conduct a solutions meeting to support the Cyber Science and Technology Community of Interest. The notice lists a variety of innovative technology needs in cyber under a series of broad subject areas. These include autonomous cyber defense; cyber situational awareness, planning and decision support; cybersecurity for infrastructure, endpoints and edge devices; control systems, internet of things security; and hardware and software assurance.